The Aztec controlled many of these different societies by forcing them to provide tributes for payment and ritual sacrifice. For example, conquered city-states, which are referred to as ‘altepetl’, were allowed to maintain their current rulers and religion so long as they met several requirements, including: support the Aztec Empire and tlatoani of Tenochtitlan, pay tribute to Tenochtitlan, and include the Aztec god Huitzilopochtli in their own religious beliefs and practices. Any altepetl that did not follow these conditions were often severely punished by the powerful Aztec military which would attack the city and destroy temples and public buildings. While this allowed the Aztecs to become the most powerful society in all of Mesoamerica, it also caused them to create many enemies from the surrounding city-states that they controlled. 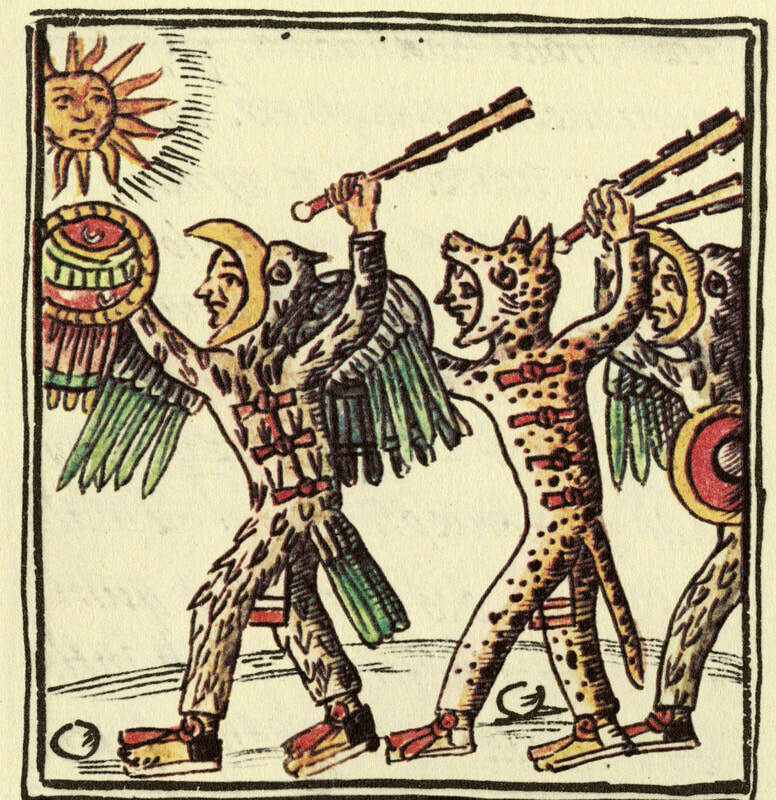 In addition, the Aztec often organized other battles with their rivals called the ‘Flower Wars’. These battles occurred at different times of the year than the campaigns of conquest that the Aztec used to expand their empire and were much different in their intent. For example, the Flower Wars were generally organized battles in which members of the Triple Alliance including Aztecs faced off against rival city-states. The two sides would structure the battle such that each side has an equal number of warriors and used only close-combat weapons. The purpose of the Flower Wars was for warriors to practice and display their combat skills while also allowing them the ability to take prisoners for the purpose of sacrifice. A common participant of the Flower Wars was the Tlaxcala, who were a rival city-state to the Aztec. Historians believe the Flower Wars occurred primarily between 1450 and 1520 when Spanish conquistadors arrived into the region and famously overthrew the city of Tenochtitlan.